Malawi crop-and-livestock farmer (photo credit: ILRI/Susan MacMillan). One of the drivers of disease in Africa, a continent with a particularly heavy disease burden, are environmental changes that help to spread infectious pathogens between animals (both wild and domestic) and people. That is why the start of a new research program, in which the International Livestock Research Institute (ILRI) is participating, to investigate these links is good news. 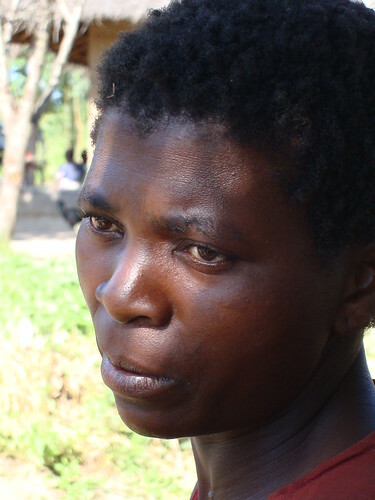 ‘An innovative £3.2m research programme exploring the connections between ecosystems, health and poverty in Africa has begun at the STEPS Centre and 16 other research institutes in Africa, Europe and the US. ‘The Dynamic Drivers of Disease in Africa Consortium (DDDAC) brings together natural and social scientists in a unique partnership to embark upon an integrated approach to understanding zoonoses—those diseases which pass from animals to humans. 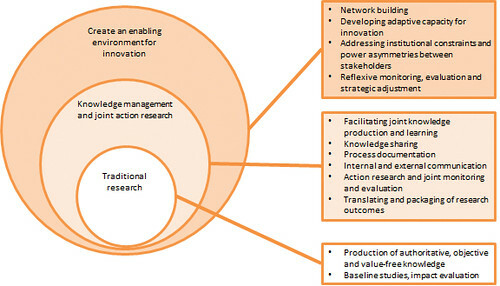 Innovation platforms are widely used in agricultural research to connect different stakeholders to achieve common goals. To help document recent experiences and insights, the International Livestock Research Institute (ILRI) recently published a series of short innovation platform ‘practice briefs’ to help guide the design and implementation of innovation platforms in agricultural research for development. This third brief focuses on interactions between research and innovation platforms – how researchers can engage with innovation platforms and how platforms can support research processes. Three ways that research can contribute to innovation platforms. Iddo Dror, ILRI’s head of capacity development, reflects on recent workshops and their effectiveness. Stakeholders involved in Humidtropics platforms from Africa, Asia, and Central America came together for the Humidtropics Capacity Development workshop held between April 29 and May 2, 2014, in Nairobi, Kenya. The workshops covered different approaches to agricultural innovation and were measurably successful in increasing knowledge and changing attitudes. We’ve blogged before about the workshop here, and you can have a look at the detailed workshop report, watch a short video, and browse some photos from the event. Africa is a richly diverse continent with a wealth of natural resources. Whilst Asia’s green revolution has been well documented, Africa has struggled to keep up and one-in-three Africans remain undernourished. Growth of agricultural production has been – for the most part – minimal and any value gained from cash crops is reaped in importing countries and not in the country of origin. And yet agriculture remains the backbone of the African economy with improved productivity seen to be an important driver for growth and development. If Africa is to meet the UN Millennium Development Goals (MDGs) of 2015, what then is required to transform agriculture in Africa?